We know where we came from .....do you? Papa Scooters was born out of a love for Key West that brought together two families. Built on the belief of providing a superior product, paired with unparalleled customer service, our motto, "Renting a Lifetime Experience" was coined. We know you have many choices in life and some of the most important ones are the experiences that you have and the people you spend them with. We graciously thank you for allowing us to be part of yours. Here at Papa Scooters we believe in the preservation of the unique culture and quirkiness that Key West is famous for. We also believe in the conservation of our beautiful environment here in the Keys. For these reasons we support the Keywest Art & Historic Society and Reef Relief . Thank you for helping to keep our island a safe and clean place. Where the heck did our name come from? When we chose our company name it came with a duality meaning. First, if you have ever visited Key West or received a post card from someone you may have undoubtedly heard or seen the iconic house named the " Hemingway House ." 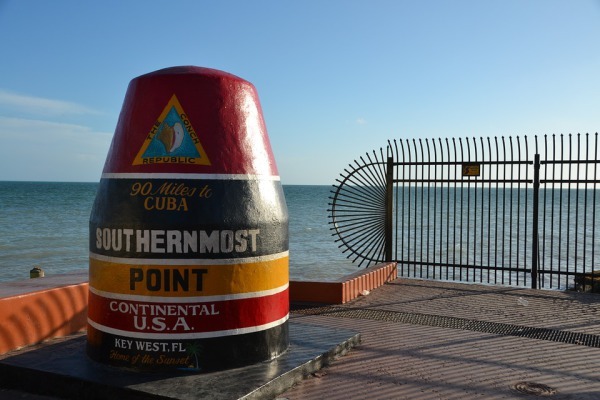 Visit Key West in July and you will find yourself in a sea of lookalikes. You guessed it - none other than Ernest Hemingway. The Grandfather of Key West, or more affectionately called, "Papa Hemingway." So we thought who better to name our company in honor of than the iconic figure who became a cornerstone in the growth and history of our little slice of paradise. Safe travels & we will see you soon!